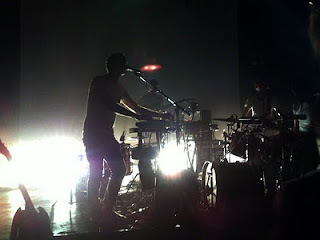 On Tuesday I celebrated my birthday at the Caribou concert at the Shepherd's Bush Empire. Always a joy to see those guys play - that was my 4th time in a year and it was yet another special night of fun and dancing. Here's a smooth 5 minute 'Mini-Mix' Caribou's Dan Snaith did recently for Radio 1. Here's a lovely Four Tet Remix of Caribou's 'Melody Day'.